Charles Napier (1786-1860) served in the Royal Navy for sixty years. A brave yet controversial commander, he became one of the most popular naval officers in Britain for his role in many battles during the Napoleonic, Anglo-American, Syrian and Crimean wars. He also served as an MP in Parliament. In this two-volume work, originally published in 1836, Napier gives a first-hand account of the Portuguese Civil War, in which he was a key participant. Between 1828 and 1834, a conflict of succession occurred between two brothers, the progressive constitutionalist Don Pedro and the authoritarian absolutist Don Miguel. In 1833, Napier led the Liberal fleet which defeated Don Miguel. He remained in Portugal for some time after the surrender to fight pockets of Miguelite resistance. 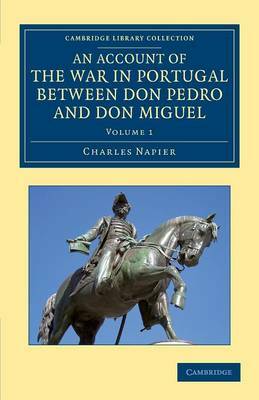 In Volume 1, Napier explains the origins of the war and takes the story through to the victory of Don Pedro.